Here is some great advice from a very unique individual. Tony Blake was the first African-American swimmer to be named All-Ivy league. The Yale graduate traveled the world, changed his name, started a family and became a truck driver. Siphiwe Baleka (his new name, which means Gift of the Creator in Zulu) is now a fitness guru, and his goal is to transform what has been one of the most unhealthy occupations into a healthy one. 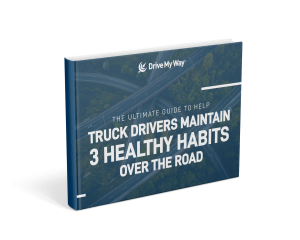 Baleka shares 4 simple tips that will help people with CDL permit jobs maintain a healthy lifestyle. ‘Instead of focusing on calories we … trained a driver’s metabolism to get higher and trained it to stay up there longer. The outcome was that we could make a driver’s metabolism 8 per cent more efficient if they could get four minutes of vigorous activity every single day. ‘Drivers have to sit behind the wheel, but there are plenty of opportunities through the day to get movement: before and after work, during breaks, when deliveries are coming off trucks. 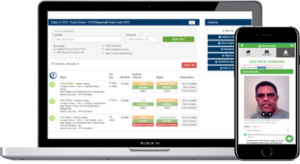 Get matched with the very best trucking companies hiring. Register today. It’s free!